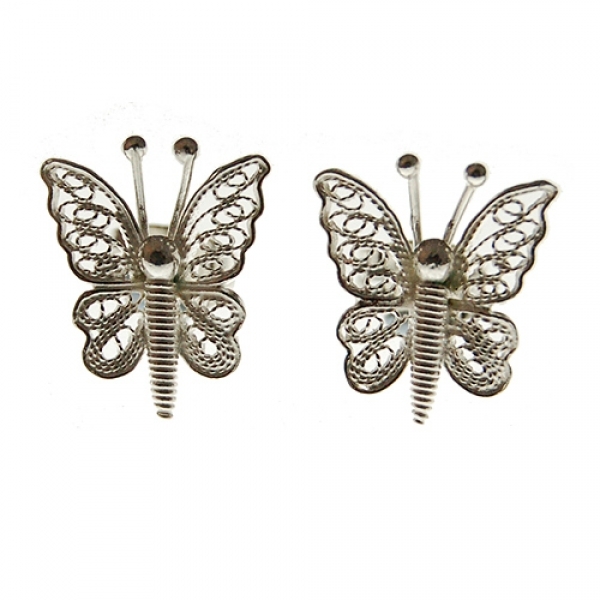 These delicate butterfly charm stud earrings are handmade with sterling silver using filigree technique. Filigree is a technique used to produce delicate, intricate patterns in metal. Approx stud size: 1cm. Complement with Filigree Butterfly pendant. A perfect gift for any occasion. One of the most graceful and ethereal creatures of all time; the butterfly represents serenity, hope and the circle of life. 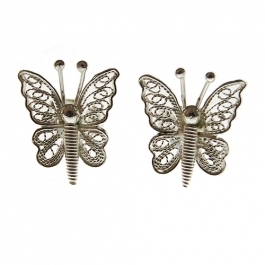 Butterfly charms are beautiful and inspiring.